The SM-U20 submarine was among the most lethal Naval weapons developed by Imperial Germany in the early 20th Century. The SM-U20 German boat has a notorious place in history for having sunk the British passenger liner RMS Lusitania, which resulted in heavy loss of innocent lives. There were 1959 passengers on board, and 1195 were killed. The year was 1915. 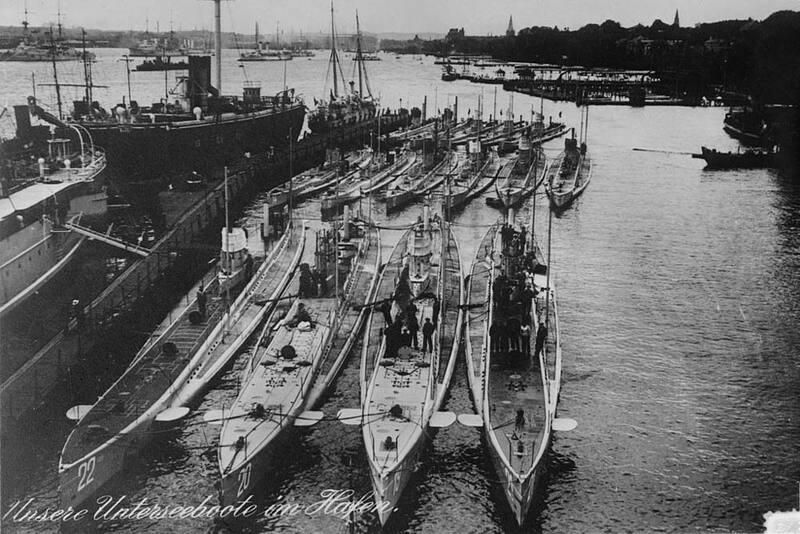 The SM-U20 was built by Kaiserliche Werft Marine in Danzig and launched in 1912. The SM-U20 was a type U-19 submarine. It was 210 feet long, about 20 feet wide and 23 feet from top to bottom. It featured a crew of 31 men and four officers. It could achieve speeds of about 15 knots or 28 kilometers per hour. It was rated to achieve depths of about 164 feet. The SM-U20 carried six torpedoes which could be launched from two torpedo tubes, fore or aft. It also sported various other weaponry, including a quick-loading cannon, the SK L/30 naval gun, and a Hotchkiss machine gun. During World War I, the SM-U20 was assigned operations patrolling the waters around the British Isles. In May of 1915 Captain (Kapitänleutnant) Walther Schwieger was in command when the Lusitania was sighted off the southern coast of Ireland. Even though Schwieger clearly identified the Lusitania as a passenger liner, he ordered his crew to fire a single torpedo. It struck the ship just beneath the bridge. The Lusitania, a massive ship, sunk in just 18 minutes. Its destruction helped along by a catastrophic secondary explosion, which was later determined to have been produced by a large supply of ammunition in the cargo hull. That the Lusitania was carrying arms is a significant because the Germans were originally accused of the senseless slaughter of a non-military passenger ship. It was not established until years later that the Lusitania was involved in supplying the British war effort against Germany. While a horrific tragedy, the British scored significant propaganda points in painting the actions of the SM-U20 against the Lusitania as heinous war crime. Even the German Kaiser was forced to apologize for the sinking of an innocent passenger ship. Captain Schwieger received no reprimand for his actions, however. But Schwieger would run into trouble again at the helm of the SM-U20 when in September of 1915 he attacked the RMS Hesperian, a cargo ship which carried 800 passengers, but which also served as a hospital ship. The Hesperian took a day to sink, but 32 people were killed by the torpedo explosion. This time Captain Schwieger received severe discipline and found his reputation badly tarnished by the time he returned to port. 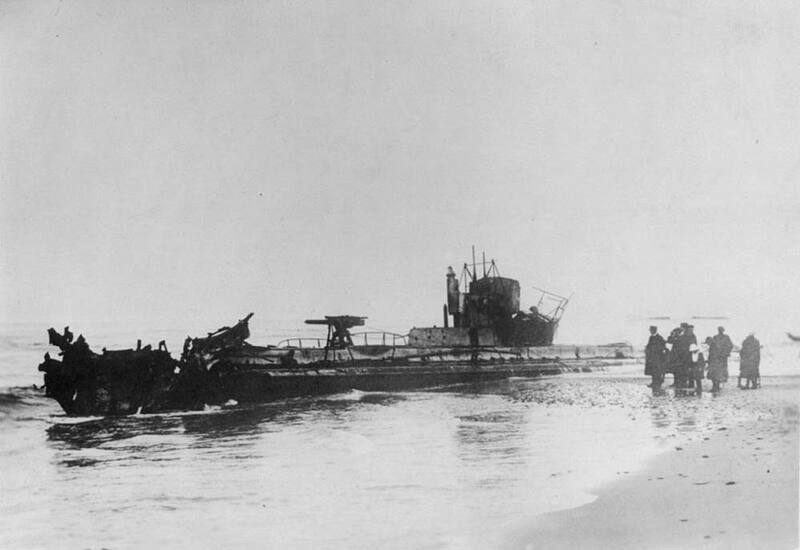 The SM-U20 sunk a total of 36 ships before it accidentally ran aground near the coast of Denmark in 1916. The crew abandoned ship. A day later they exploded the submarine’s torpedoes to scuttle the ship, thus keeping it out of the hands of the enemy. Even though the general last location of the SM-U20 was known, the exact position of its underwater grave were not known until 1984 when its wreckage was identified on the sea floor off the coast of Denmark.